We are so inundated with beauty on the blog all through the year (naturally, since it is after all supposed to be a beauty blog 😛 ) but I’m sure many of you have interests outside of beauty and I’m quite sure you bought or used or were given something non-beauty this year that you particularly enjoyed. I think the photo above is quite a give away of what my favourite non-beauty item was this year. This year, I left aside the gadgets and phones. Last year, I delved into something very large for my house. This year, it’s something much smaller but they gave me great joy. 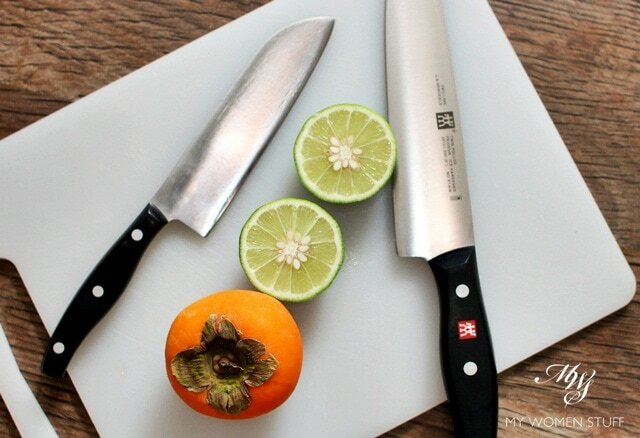 If you know your cooking knives, you’ll know that Zwilling knives are really pricey items. However, at the end of last year, I picked up a Chef’s Knife and a Santoku knife from the Twin Pollux series, as a Purchase-with-Purchase deal from a supermarket, at a fraction of what it’d cost me otherwise. I’d always wanted good knives and it was very exciting for me. I broke them out to use this year and I love them, OMG! 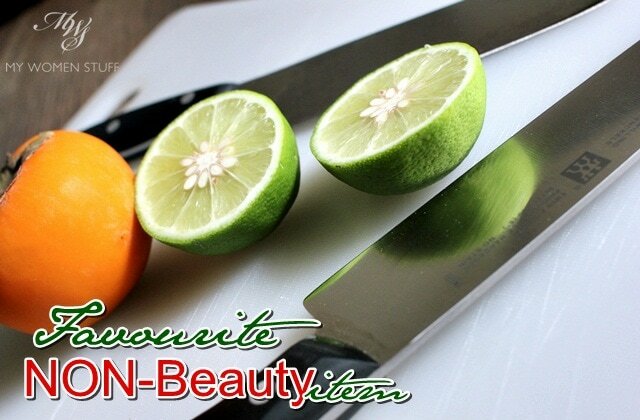 😀 They are incredibly sharp and precise and make slicing, dicing and cutting items so easy! I used to have to hack at meat but these knives have made it so easy for me and also to slice razor thin slices of meat or, as you can see, limes 😀 So. Much. Fun! I do have to be extra careful when using them because they are very sharp, but it’s a great feeling to be able to easily and quickly slice through things. So, what is your favourite non-beauty item of 2013? I’m amused at how when I started asking this annual question I was all about gadgets. These 2 years, it’s been about the home. I wonder what next year’s will be! 😀 So, what was yours for 2013? NEXT POST: Tip: Make your own cream highlighter or illuminating cream and save money! hey.im going to malaysia on january…where the best place to find beauty products??? Esp in KL and johor bahru. Im exited to get some asian beauty product ^^. Hi Fea, this post may help you. Enjoy your trip! Remember to get Inglot in Johor, CitySquare (Causeway 1 Singapore). Not sure if they open store anywhere else. Wow this is really tough!! My answer isn’t a thing, but two little someones. I got a pair of guinea pigs a week ago and I love them so much. They’re a bit of work but so cute!! Candles! And scent oils. This IS something therapeutic about these scents. I actually really like The Body Shop scent oils. They are a bit overwhelming when burning first starts, but if I am not in the room, and let the scent disperse, it is really nice after that. So nerdy, but my new processor (for the computer) and Kindle. Both very fast and fun to use!